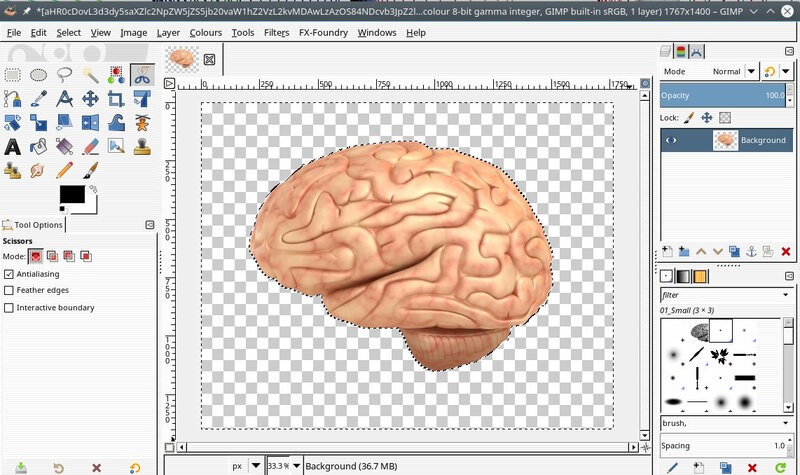 I am trying to remove the background from the picture of a brain. I've traced around it with the scissors tool, completed the circuit, and now I have the 'marching ants' outline where I've traced. I have no idea how to actually complete the process though. Intelligent scissors - never very intelligent. If greyed out, it already has one. If not click that to add. Preferably this is done first but if you already have a selection, do it then. Now you need to invert the selection. Select -> Invert. Various ways to fix that. 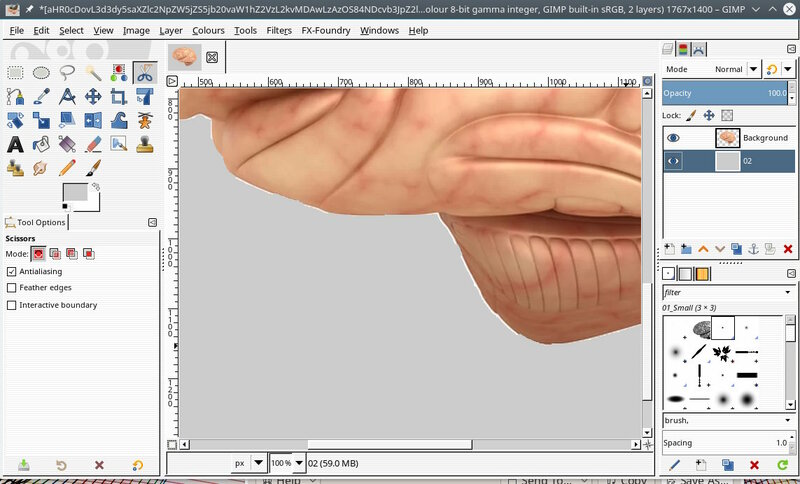 Shrink the original selection a pixel or two before inverting or Use a layer mask and edit out the border or go round with the eraser tool. Now delete the selection, Edit -> Cut or Edit -> Delete both work. You should get an image with a chequer pattern which denotes transparency. Edit: Hate this mailing list format.